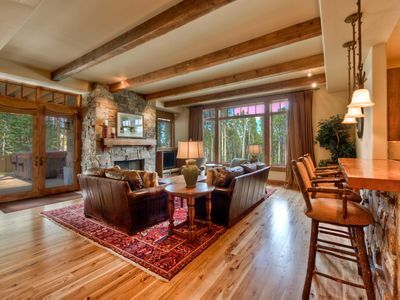 Enjoy your mountain vacation in our beautiful home with a layout designed to bring friends and families together. 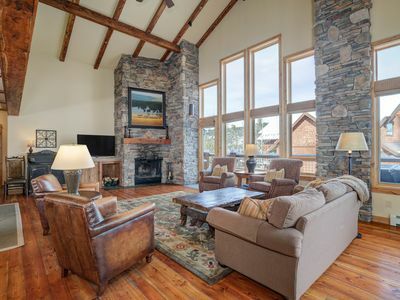 The open easy flow of the great room, features a stone gas fireplace with incredible views of Lone Peak. 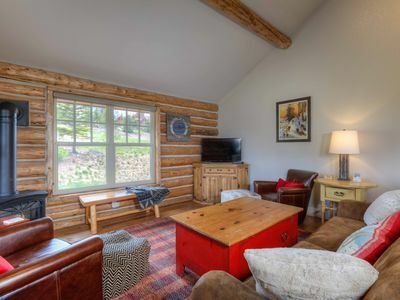 In addition there is a large rec room in the lower level with a 60 inch TV, and easy access to the hot tub. Both rooms are furnished with comfortable furniture and flat screen TV’s. The dining room, with the beautiful rustic table and the appointed kitchen is a comfortable environment to entertain everyone. You can't help but gather to enjoy this setting. 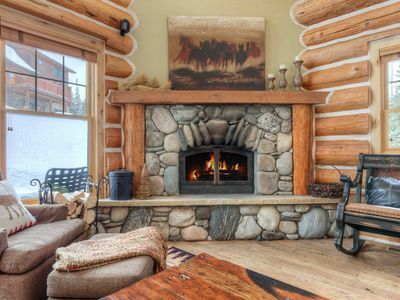 The home is tastefully decorated to ensure a comfortable cozy retreat. The kitchen is equipped with cookware, dinnerware, basic supplies like napkins, paper towels, coffee filters and spices. 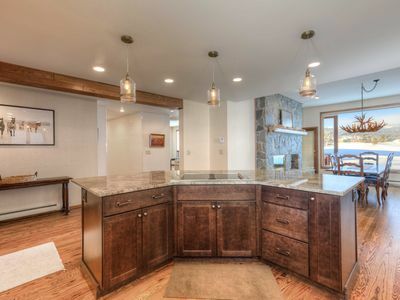 From the kitchen you walk out to a private deck that offers specatular views. In the mornings and evenings, moose or deer are sometimes spotted meandering through the backyard as your looking at the beautiful views of Lone Peak. 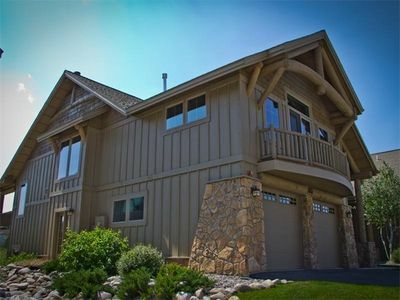 The home sleeps 14 with 4 bedrooms, a loft and 3 1/2 bathrooms. The master bedroom has a king size bed with luxurious bedding, bathroom, which includes double sinks, bathtub and shower. The lower level second master bedroom enjoys a view of the mountain from a queen-size bed along with a beautiful newly renovated en-suite bathroom. A third bedroom in the lower level has a queen-size bed and a hallway bathroom that has also been newly renovated. The bunkroom in the lower level is a large fun-filled room that will sleep a group in two sets of twin beds and two full-size beds on the bottom bunk beds. 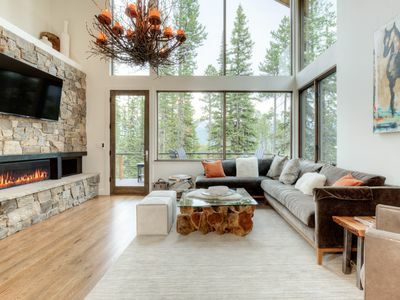 The kids will love this room as their own little “get away”. The loft, with 2 twin beds, is also a great place for the kids to sleep and play. 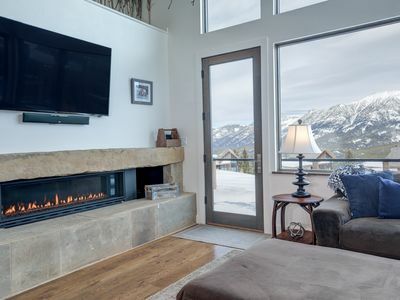 You will also relax and enjoy the spectacular views of Lone Peak in the private 6 person hot tub from the lower level walkout. It’s a high point after a great day of your winter activities or your summer activities as well. 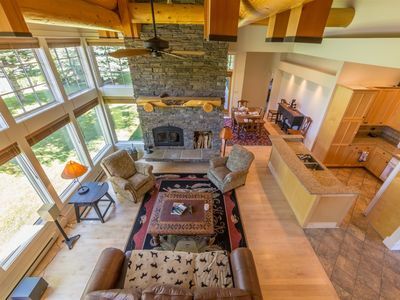 Your ski vacation can begin right outside the door with a 4-minute walk or ski to White Otter Chair Lift. 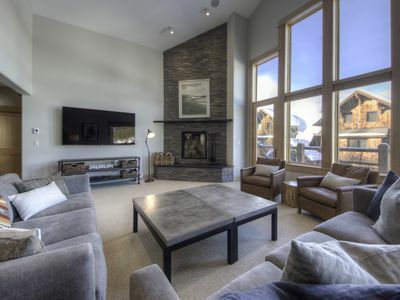 A short walk or drive brings you to the Big Sky Ski Village Resort base area shops, restaurants and après’ entertainment. You can also drive 6 miles down the mountain to the Big Sky Meadow Village and you’ll find even more shopping, dining, and activities. 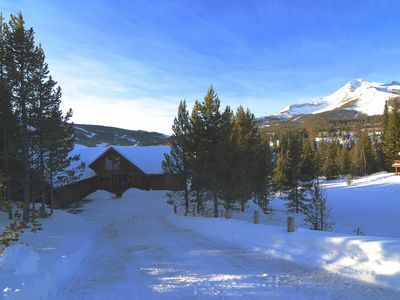 -West Entrance is a one hour drive to enjoy winter or summer activities in the park. -North Entrance to the park (Gardiner) is also a fun destination to experience the boiling river in winter or summer. Snowshoeing, cross-country skiing, sledding are just a few of the winter activities. 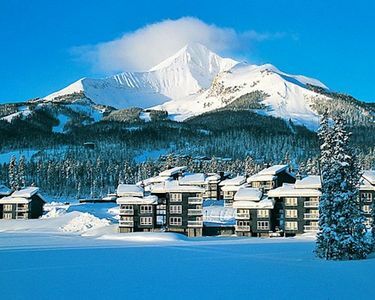 We would love to help you plan your Big Sky experience. For your convenience, a laundry room is located in the lower level. 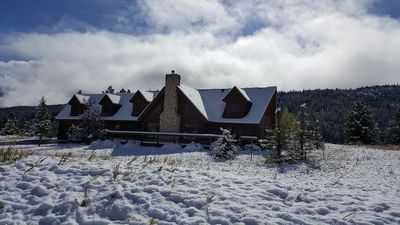 Luxury Powder Ridge Cabin With Ski Access! Prime Wooded Location With Hot Tub. 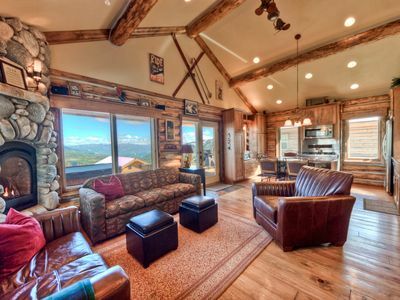 Mountain Modern Cabin With Beautiful Views, Large Kitchen, & Amazing Ski Access! 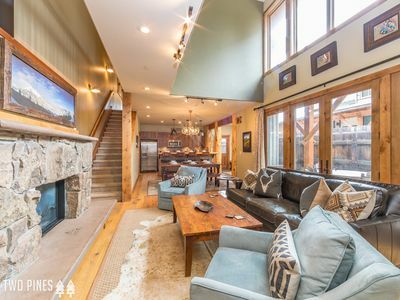 Blue Moon Chalet - Best Family Ski in/Ski out! Fantastic House- Don`t miss out! Convenience! 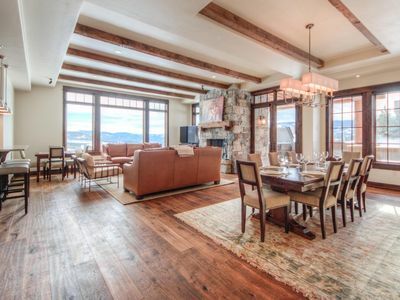 Loathed In Luxury, Walk to Ski School, Dining, Apres Ski, and More! Perfect Views! 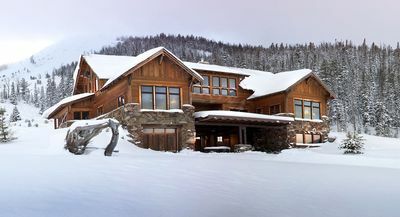 Located On The Slope For Perfect Ski Access. Private Hot Tub! 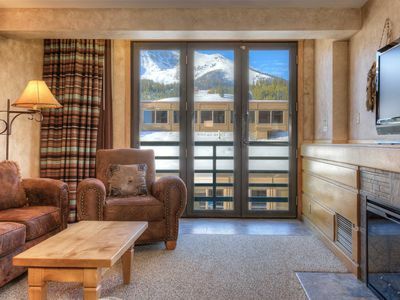 Luxury Lodging Walking Distance To Dining, Ski Access, & Activities! Ski Access! Large Luxury Townhome. 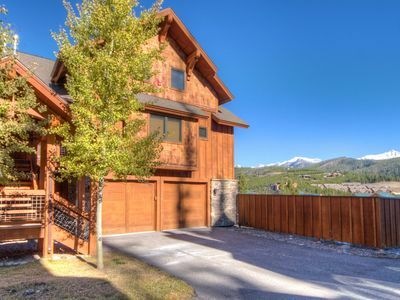 Great Location, Easy Ski Lift Access, Walk To Resort! 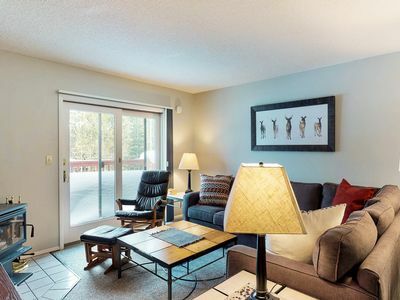 Comfortable and budget-friendly condo across from Bear Back Poma Lift! 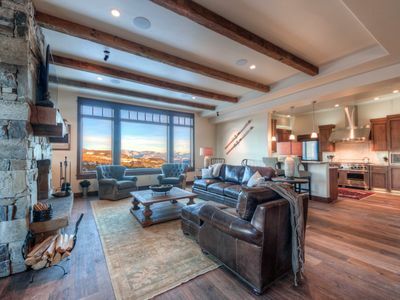 BRAND NEW- Stunning `Essentia` Townhome in Big Sky`s Town Center!